Making the trip all the way from Australia was well worth every penny and effort. I feel I have been taught by the best and can walk away with the confidence I can tint anything and that my training has given me an excellent base to launch my business from. Some courses you walk away with 100 questions still to be answered or you’re done under…not with this course! Mind-blowing course! Taught far beyond my expectations! Simple teaching techniques that just makes sense. I wouldn’t change a thing, but I know undoubtedly this course will change my life! Thank you, Robert! WOW! Very impressed and exceeded my expectations. 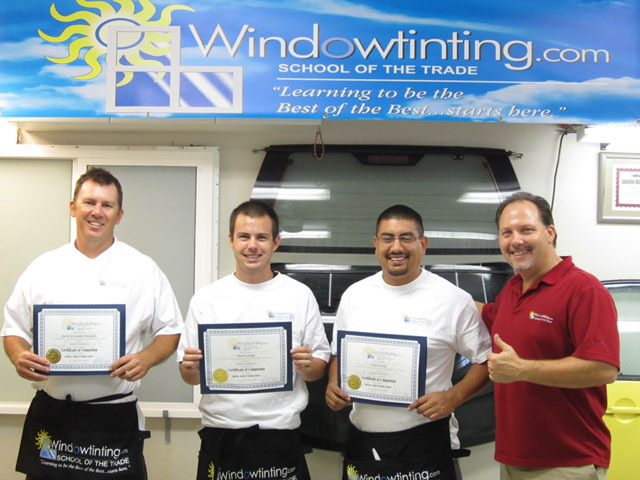 I had tinted before I got here and after being in this class, I found out I didn’t even know the tinting basics. Every single mistake I had done in the past was brought up without me even asking. I not only found out “why” it happened, but I learned “how” to avoid it and the secrets in fixing it. Overall the class, instructor, food, hands-on time and the facility would make me give this course a 5 star rating!! !